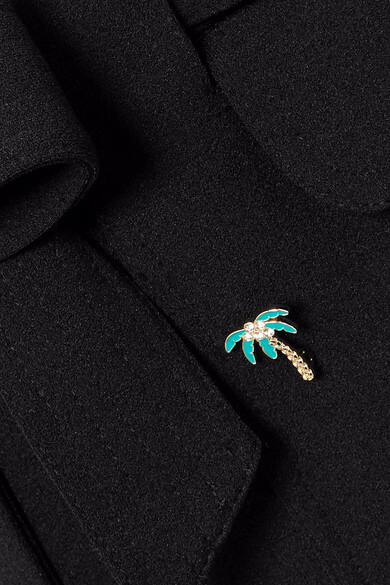 Maje's shorts are made from black stretch-crepe and playfully embellished with enamel palm trees. This A-line pair is detailed with two large front pockets and has a matching belt to accentuate the high-rise waist. Wear them with a tucked-in blouse and heeled mules. Shown here with: MATIN Shirt, STAUD Tote, BY FAR Sandals, Chan Luu Earrings.